We may want to learn all we can about the tragedy to stay current, to feel connected, and to try to make sense of the loss of life. But for some survivors of sexual violence, the pervasive coverage of these traumatic events, such as the recent mass shooting in Las Vegas, can have uniquely harmful consequences. Every survivor responds to the traumatic experience of sexual violence differently. Reactions can include a range of physical, mental, and/or emotional changes. The trauma of experiencing sexual violence can result in survivors feeling powerless and questioning their basic assumptions about life, safety, and security. 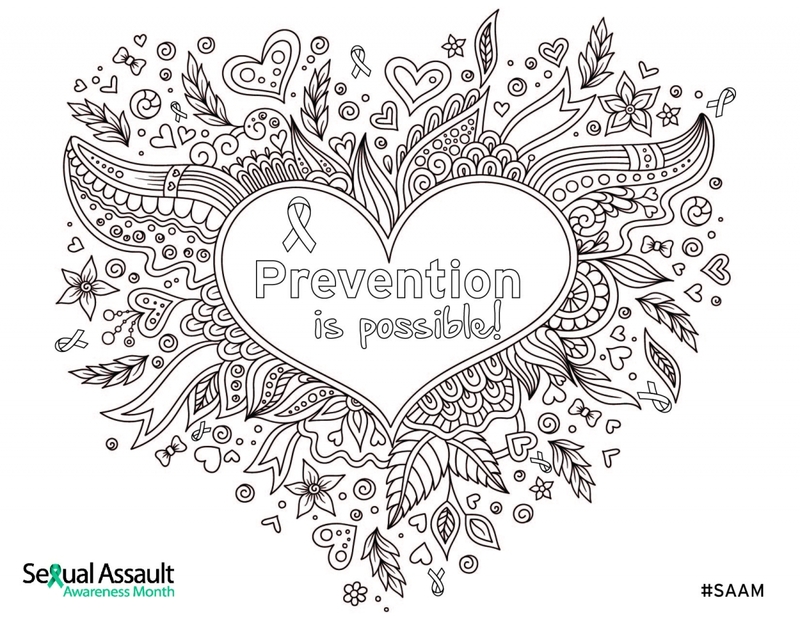 But healing is possible, and survivors of sexual violence can work to diminish the trauma of the assault. However, traumatic events on the news – whether or not they’re related to sexual violence - may bring those feelings associated with their own trauma back to the surface. Survivors who are many miles away from the traumatic event may find themselves questioning their own safety and dealing hard emotions. This experience is called retraumatization, and it isn’t unique to learning about tragedies in the news. Retraumatization can occur when any situation, interaction, or environmental factor replicates events or dynamics of prior trauma and triggers feelings and reactions associated with the original traumatic experience. For example, a graphic scene in a film may trigger a painful memory that becomes difficult to let go of. If you are a survivor who has been struggling in the wake of tragedies like the Las Vegas mass shooting, you may be experiencing retraumatization. Remember that healing is not a straight line -- there are highs and lows. The way you react in any one moment doesn’t define your overall progress. In fact, recognizing the signs and signals of retraumatization can help grow your resilience -- the ability to heal by learning to identify, create, and grow the tools and strengths you have to self-regulate. Survivors can build on this resilience by seeking out support during difficult times like these so when future tragedies occur, they are prepared to adapt to the reactions that might otherwise present a stumbling block in their healing journey. Of course, everyone’s journey to healing is different and there is no one size fits all approach. It’s always important for survivors to understand that they aren’t alone in experiencing retraumatization, that many others are going through something similar, and there are people out there who understand and want to help. Describe 5 things you currently see. Describe 3 things you can hear. Describe 2 things you can smell right now or smells you like in general. Describe 1 good thing about yourself. Call a friend and ask them about their day, focus on what they have to say and allow yourself to be carried away by the conversation. Also, don’t be afraid to tell them how you’re feeling as well! Let the experience of the warmth wash over you and focus on the sensation. Maybe light some candles or play music as well and focus on the various sounds and scents. Take off your shoes and socks and rub your feet on the floor, do some gentle stretches, go for a jog or a walk – anything you can do that will allow you to focus on the sensations within your body. Describe them to yourself and try to stay in the moment. For some people listening to a meditation or practicing yoga can be mentally or physically engaging enough that you’re able to be completely in the here-and-now. While these types of activities aren’t for everyone, for many they reduce stress and anxiety. Whether you paint, draw, sew, or even just like to color, engaging in an activity you enjoy and is soothing can help bring you into the present and relieve some of the pain of trauma. You can print some of our own coloring pages here and here! Sometimes we need to reach out for additional support – and that’s okay! It’s important to remember that there are other people going through similar struggles, and by addressing our experiences of trauma we can grow even more resilient. Check out our list of resources that might be helpful in your journey to health and happiness.